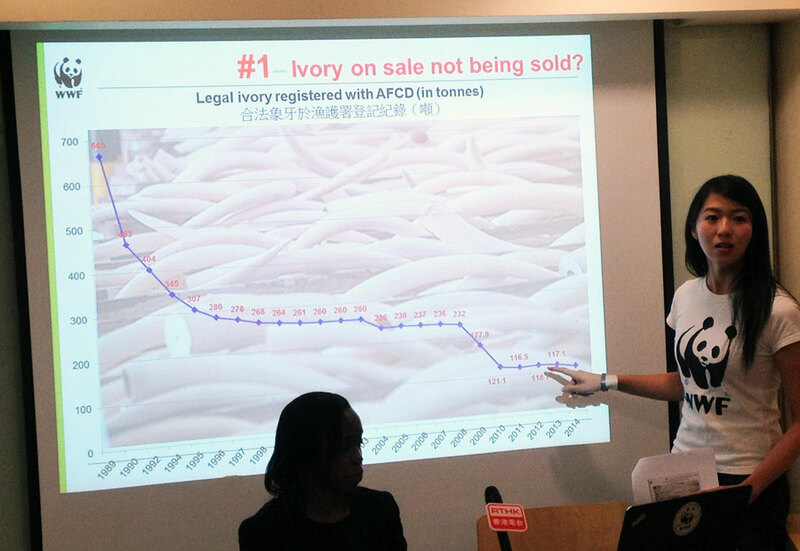 According to official government figures, Hong Kong’s licensees held a total of about 117 tons of ivory in 2013 — a figure that had remained virtually unchanged since 2010. Yet during roughly the same time period, mainland Chinese tourism to Hong Kong more than doubled. According to the report, mainland Chinese tourists smuggle much of the purchased ivory through personal luggage. Hong Kong authorities inspect only a small percentage of suitcases, due in part to a shortage of inspectors and an emphasis on checking for other illegal goods. Save the Elephants also investigated the growing trade in mammoth ivory, which is routinely used as a cover for selling elephant ivory items, especially trinkets. 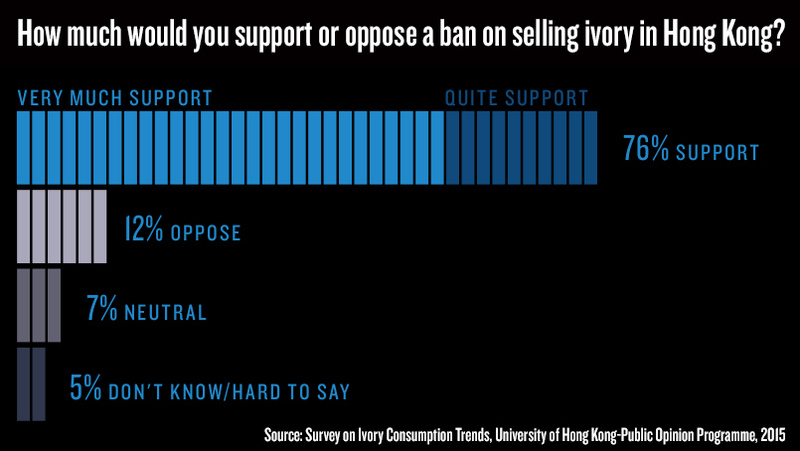 The Hong Kong public overwhelmingly supports a comprehensive ban on elephant ivory sales, according to a survey by the University of Hong Kong’s Public Opinion Programme released in May and commissioned by WildAid. But only 34% knew that African elephants could become extinct in the wild within our lifetime if current poaching rates continue. 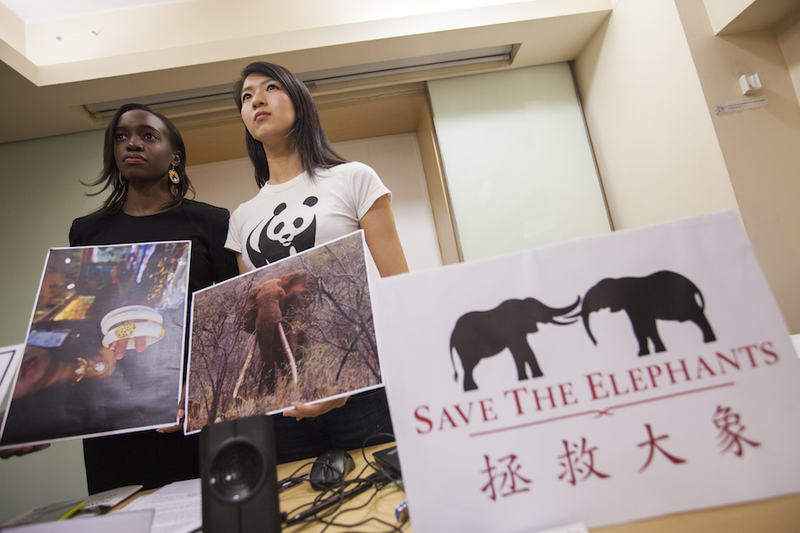 WildAid, African Wildlife Foundation and Save the Elephants are conducting a major public awareness campaign in mainland China and Hong Kong to reduce the demand and end the illegal trade in ivory. The campaign uses public service announcements, billboards and subway ads featuring some of China’s biggest celebrities, including former NBA superstar Yao Ming, action hero Jackie Chan and top Chinese actress Li Bingbing, as well as The Duke of Cambridge (Prince William), David Beckham and others.